French invasion: The influx of French expats has been a great influencer to Hong Kong’s transformative restaurant scene, as the special administrative region is the honourary home to the biggest French expat community in Asia. French restaurants, boulangeries and wine boutiques have multiplied to accommodate this great migration, to bring a taste of home to la francaise. 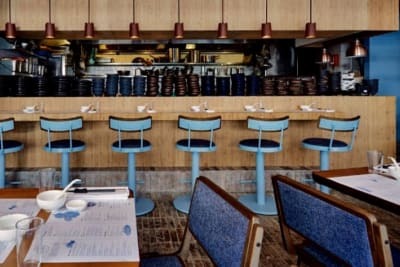 One of the newest arrivals to this Francophile pool is Atelier Vivanda, the latest from Chef Akrame, who premiered his eponymous restaurant in 2014 in Wan Chai. The new Atelier Vivanda sits next door to the fine dining Akrame, and is in sheer contrast with its casual, bistro vibe. 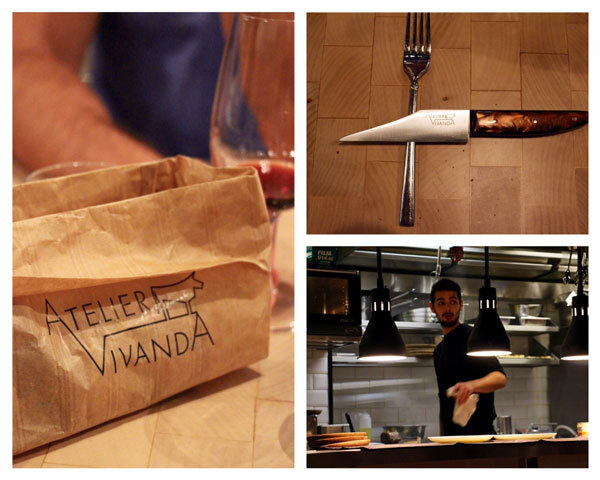 Keeping it simple: Meat and potatoes is what Atelier Vivanda is all about. The head chef hails from the kitchen of Atelier Vivanda Paris, which has been doing a roaring trade ever since its opening in the City of Lights. 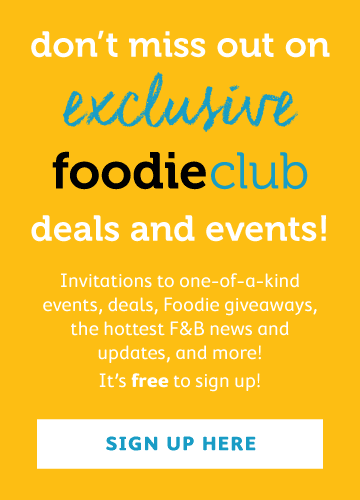 The menu is simple, with a choice of an entrée, a meat, accompanied by unlimited potato sides and a dessert for the tidy sum of $448. We couldn't dine at a French bistro without starting our meal with some terrine. The duck leg terrine with vinegar and baby onions was flavourful and creamy, with just enough chunky morsels of meat to give the terrine hearty texture. 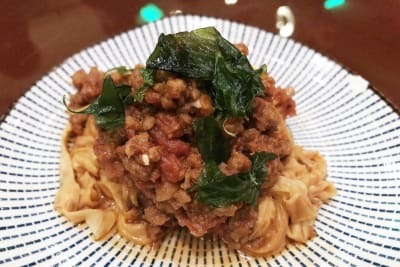 Wrapped in savoy cabbage leaves, this simple, yet satisfying entree was as good as those found on the dinner table of the French in-laws. 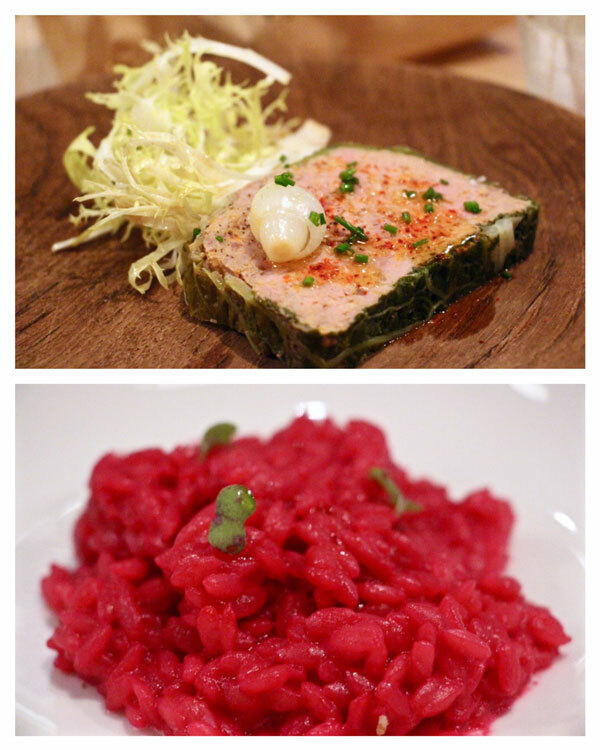 The ruby red beetroot risotto with smoked haddock was as beautiful as it was delicious. Although not as al dente as we’d prefer, the brininess of the fish complemented the sweetness of the risotto. For mains, we went for the leaner Black Angus flank steak rather than the well marbled Persille Black Angus, and although the meat is leaner, it packed plenty of robust beefy flavour and remained mouth-wateringly tender and succulent. The veal, which unlike what the menu described, came in a fillet rather than on the rack, and had a very flat flavour profile. It also lacked seasoning. We did enjoy the crisp green salad, dressed in a tangy vinegar. 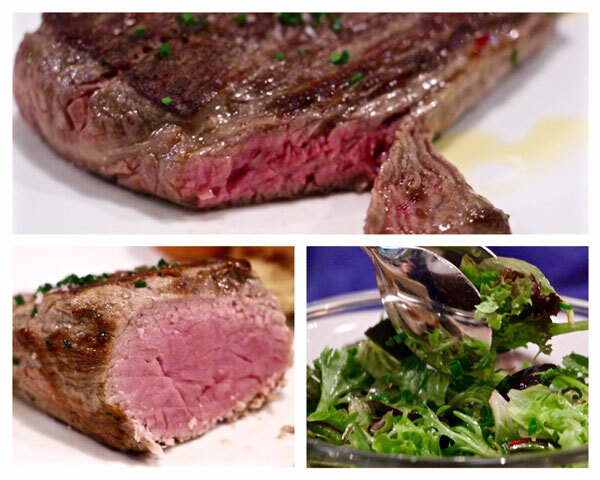 The sharpness of the salad dressing complemented the rich meats, and acted as a refreshing palate cleanser. 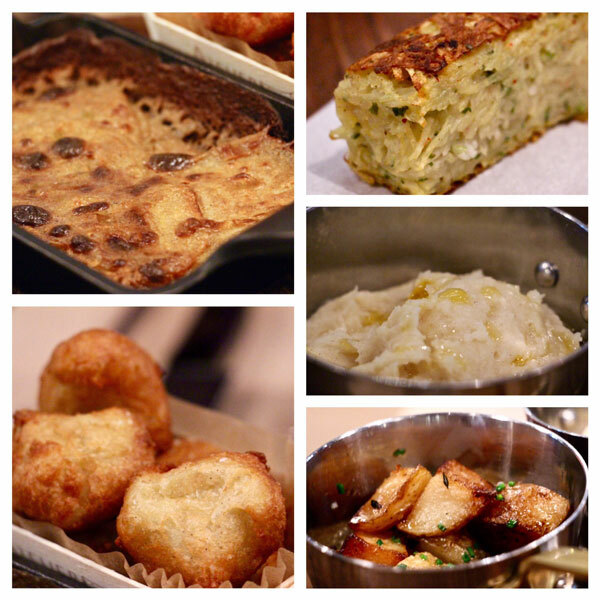 Since we are greedy monkeys, we had to sample all the potato sides, ranging from a bubbly cheesy gratin, to a cake-like pommes darphin, to moreish globes of fried pommes dauphines. There were also classic mashed potatoes and sauteed potatoes. Our favourites of the spud sides were the gratin and roasted potatoes, which were both deliciously seasoned. It’s hard to go wrong when you combine potatoes and cheese! 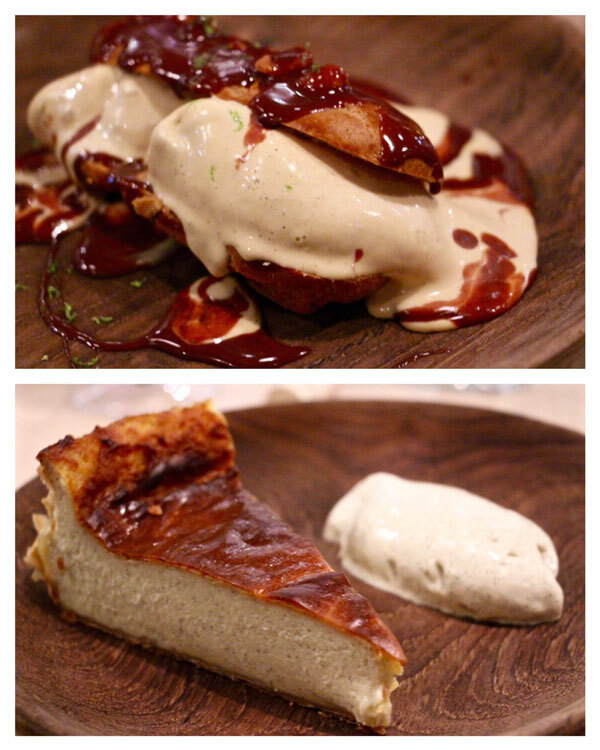 For dessert, we succumbed to the custard and the caramel profitoclaire with chocolate tonka beans. The custard, accompanied by vanilla ice cream, could have benefited with more silkiness instead of its cake-like consistency, although we liked how it wasn't overwhelmingly sweet. The caramel profitoclaire was the standout, a light choux pastry sandwich filled with vanilla ice cream, drizzled with caramel. We could have licked the plate clean. Verdict: We like the simple structure of the menu, and the cuts of meat are of excellent quality. Some of the potato sides were a bit lacklustre, although we enjoyed the range of classic French entrees. The desserts are also not to be missed. A relatively good valued menu for an easy evening meal. Plus, the servers were attentive, friendly and very knowledgable about the menu, a rare find in Hong Kong.